UPDATE: MessageMe co-founder Arjun Sethi told Mashable that the company will have more updates on Tuesday morning. "We're currently working to make sure our users don't encounter any errors in the application when using it." Facebook has cut off MessageMe's ability to access its "Find Friends" function, according to a report. Users of the free iOS and Android app, which offers group and individual messaging, can no longer search for friends using the social network, TechCrunch reported Friday. The incident is another example of Facebook's stringency around access to its social graph. In January, it shut off friend-finding access to Vine, Twitter's new video-sharing app. "Replicating core functionality: You may not use Facebook Platform to promote, or to export user data to, a product or service that replicates a core Facebook product or service without our permission." It appears MessageMe, which is the number two free app in the U.S. iOS App Store's "social networking" section, competes directly with Facebook Messenger. After launching last week, the popular app has stood out from competitors for its ability to send photos, songs, videos, audio recordings and doodles — in addition to messages. Facebook and MessageMe did not immediately respond to requests for comment. 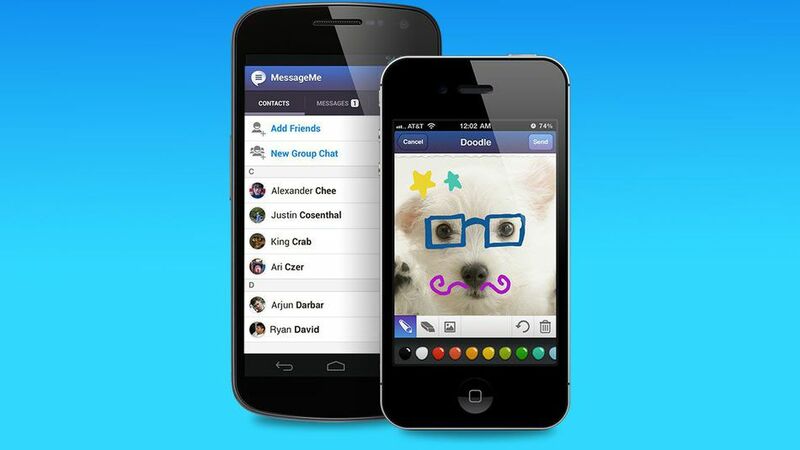 What do you think of Facebook's decision to prevent MessageMe users from finding friends?